The local council has given us the go-ahead, so this is happening. First event is Saturday Febraury 28, and the last Saturday of the month thereafter. Police Station and they will be doing random patrols. All makes and models are welcome as are bikes of any kind. 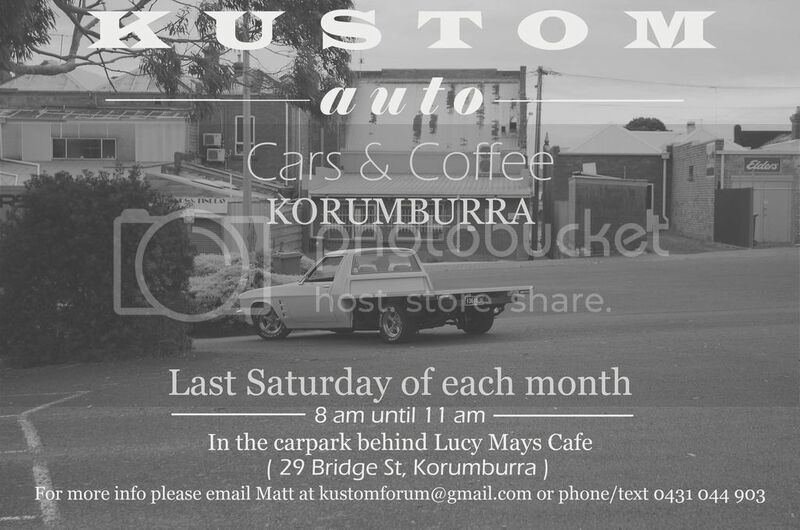 Just come along, meet some people, have a coffee and enjoy the morning. We will have Project141 there. Comment below if you're keen! 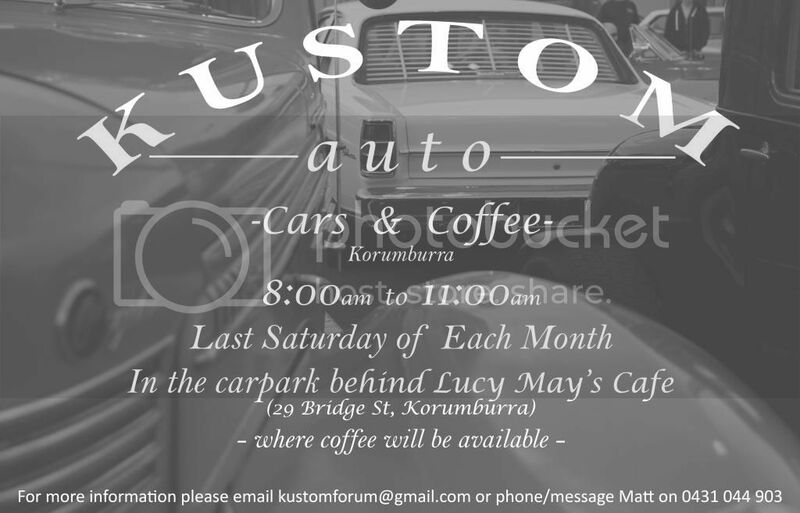 The second monthly KUSTOMauto Cars & Coffee meet is this coming Saturday (March 28). All makes, models & bikes welcome, stock or modified. Just a heads up that this is off for this part of the year. It's just too wet. I'll be sure to let people know when it's back on.